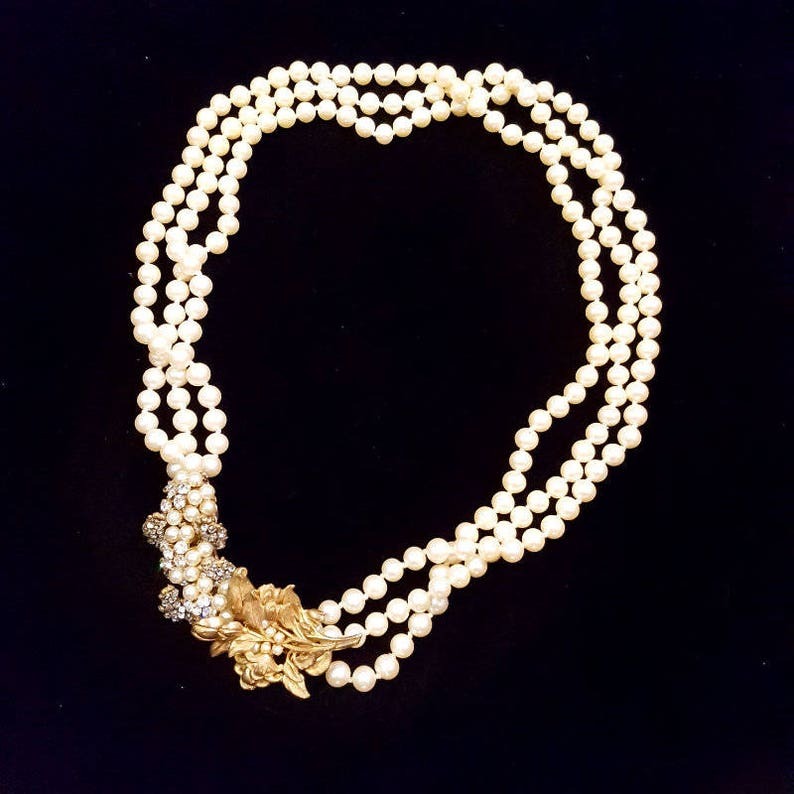 Vintage signed Miriam Haskell 3-Strand Faux Pearl Necklace with slide clasp. Excellent condition. It is beautiful! Great quality!